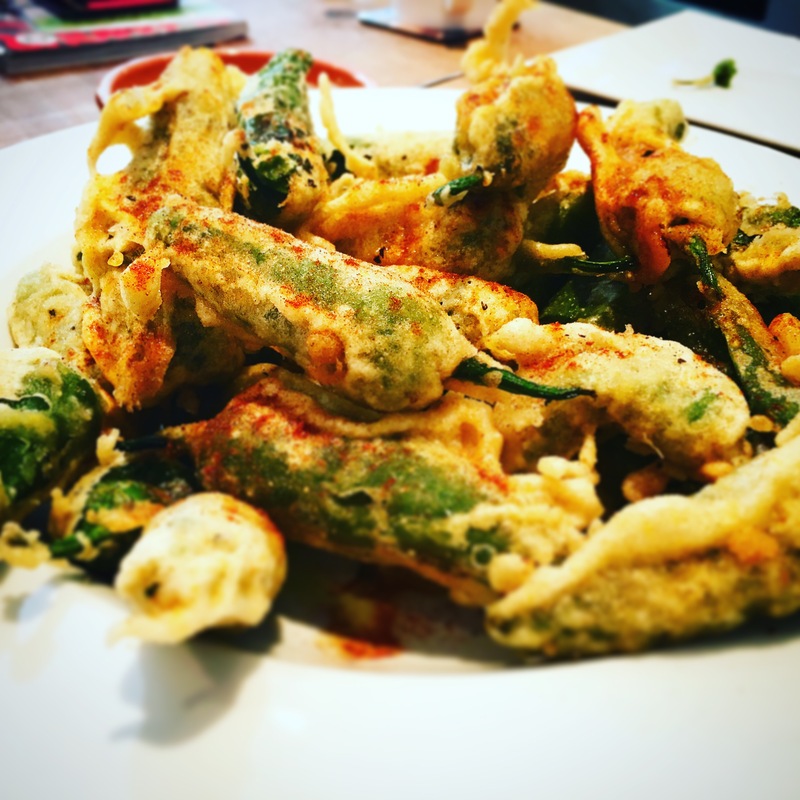 Padron peppers are usually fried in oil with salt and they taste amazing. This is a sort of tempura treatment of them so you get the additional bonus of a nice crunch at the same time as having that wonderful Padron taste inside. Makes a really simple tasty starter. 1 pack of Padron Peppers many supermarkets now stock them in season! 1. Wash the peppers then drain off any excess water, place them in a bowl and dust them with flour. 2. Heat the oil in a large deep frying pan/wok or saucepan. 3. In another bowl pour in flour, corn flour, polenta, sprinkle of salt, pepper and paprika. 4. Pour in a little water at a time and whisk with a fork. Pour in water until the mixture is liquid but still a little thick like a pancake mix. 6. Take the peppers out once skin starts to blister or batter is nice, crisp and golden. 7. Drain on some kitchen paper, then fry the next batch. 8. Place on a plate drizzle over some extra virgin olive oil and sprinkle with some plain or smoked paprika. Serve with garlic or lemon mayonnaise. Looks and sounds like a great recipe. Croatian inspired slow roasted lamb. Blackened Indian Spiced Salmon with Mustard seed Poached Asparagus.